For instance, if Megan loses by playing scissors to Casey’s rock, Megan is most likely to switch to paper, which would beat Casey’s rock. Per the research, this is a sound strategy, since Casey is likely to keep playing the hand that has been winning. The authors refer to this as the “win-stay, lose-shift” strategy. This should work unless your opponent has read this article, in which case, you both are in trouble, because you’re now living on a plane of RPS strategy the likes of which we can only imagine. 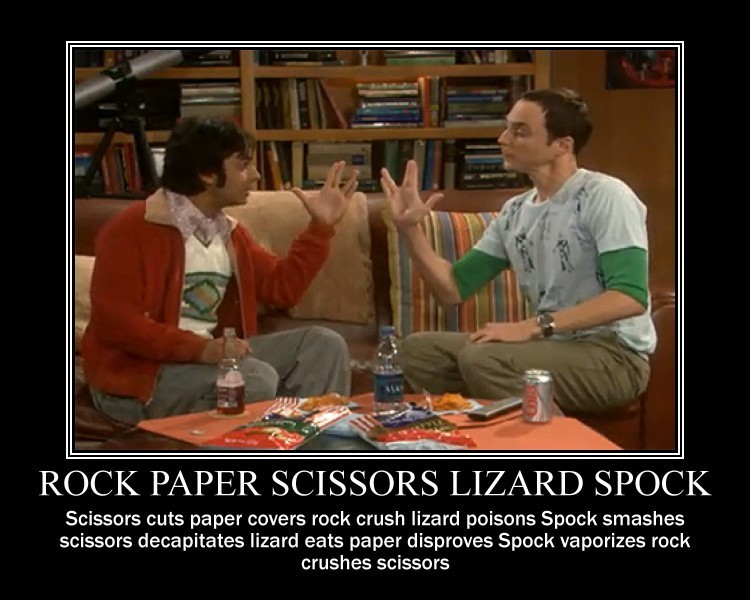 Sheldon Cooper is a genius, btw.